Mike is a recent graduate of Wentworth Institute of Technology, where he studied mechanical engineering. During school, he completed a co-op with BlueWave, another solar energy company, before starting a co-op with SolBid last September. He later began a part-time job with SolBid in December and has been working here since then. He is passionate about solar energy and the positive change that he feels his work can bring to the world. 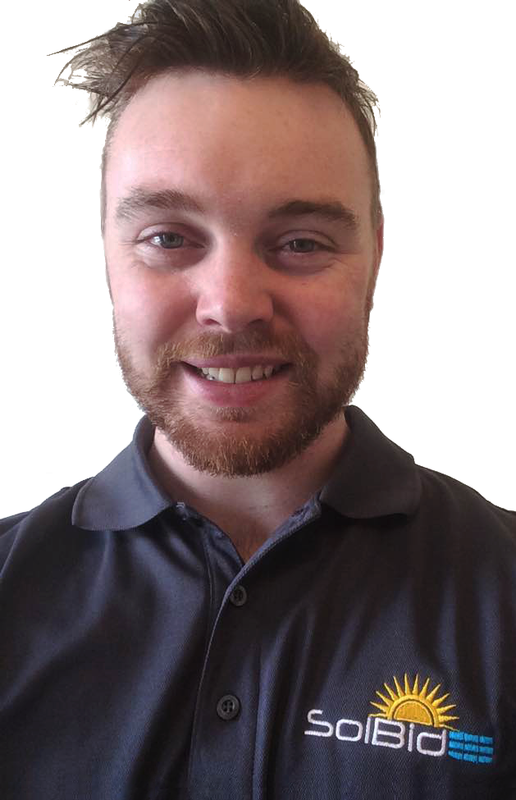 At SolBid, his day-to-day responsibilities include working with electrical contractor partners and assisting with the drafting of electrical diagrams to be passed to engineering. I’d really like to see the world become less dependent on fossil fuels and more on clean energy, and with SolBid, that’s what’s happening; people are becoming more dependent on renewable energy sources and I’m helping to facilitate that. I’ve learned a lot about the energy industry and how everything works. I’ve learned how to properly draft up electrical drawings for solar energy systems and I have gotten to understand in depth the different types of electrical components that make up a solar energy system. What do you find most rewarding about your role at SolBid? Most rewarding, I would say, is introducing a company to SolBid and building out a solar energy proposal to show them what solar can do for their business. That always brings a smile to me. I’d say someone who treats all their employees, and people below them, with professionalism. It's someone who does not talk down to them, but talks to them as if they are an equal. I play a lot of ultimate frisbee in my free time. That’s always fun. I play in a softball league for fun as well. I’m also a big fan of history - I like reading about history and all sorts of stuff like that. Life is short, so do what you want to do - don’t wait for it. Don’t wait for something to happen - make it happen.